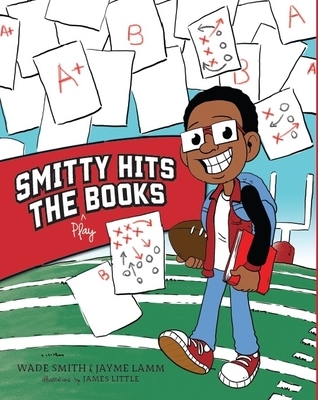 Since he was a very little boy, Smitty's dream has been to play football, but his mom says school comes first. When his teacher says his excitement for the game is interfering with his work, he's got a big problem. Can Smitty make both his mom and his coach proud? Wade Smith's story, based on his own experience, shows young students and athletes how important it is to stay focused and determined at school so they can achieve their dreams in life and on the field. Wade Smith, NFL Veteran and Pro Bowler from Dallas, Texas, established The Wade Smith Foundation in 2012 to provide community support for youth programs throughout the DFW Metroplex and Greater Houston Areas. "It was an opportunity for me to give back to those people that helped me get where I am in life. I chose literacy and education as major focuses of the foundation because having that groundwork laid and putting emphasis on going to college and getting your degree leads you toward success and being able to do what you want in life."